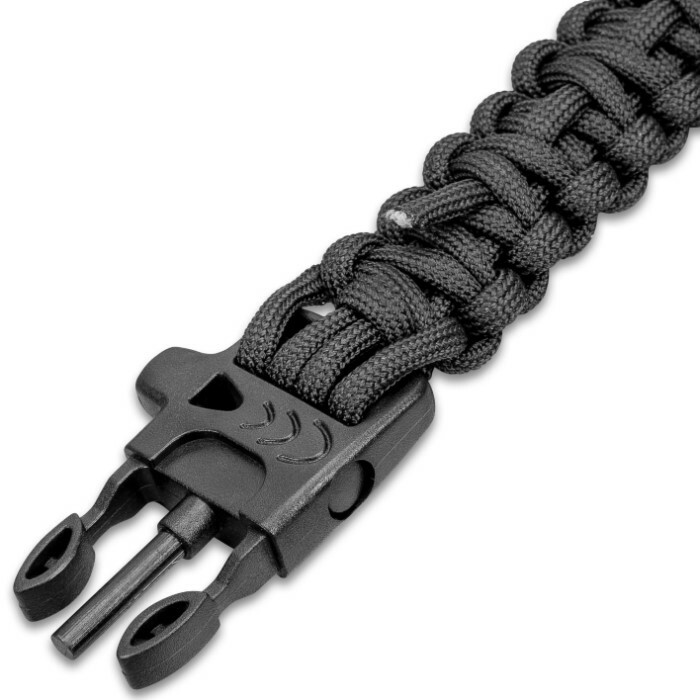 Trailblazer Survival Paracord Bracelet - Integrated Whistle, Firestarter - Length 9 4/5” | BUDK.com - Knives & Swords At The Lowest Prices! 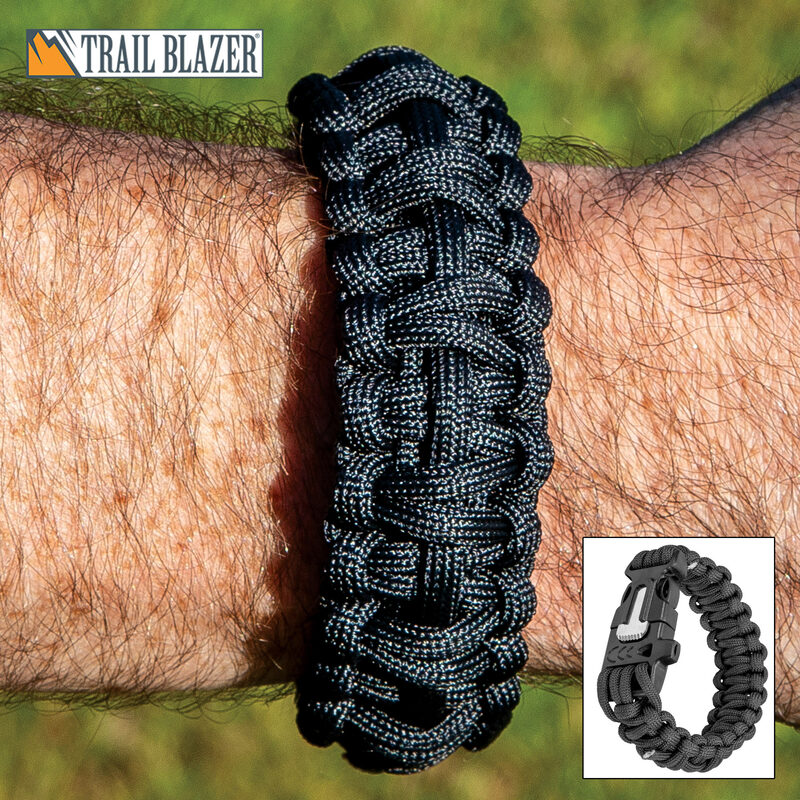 Our Trailblazer Survival Paracord Bracelet is a great addition to your hiking, camping or bug-out gear! 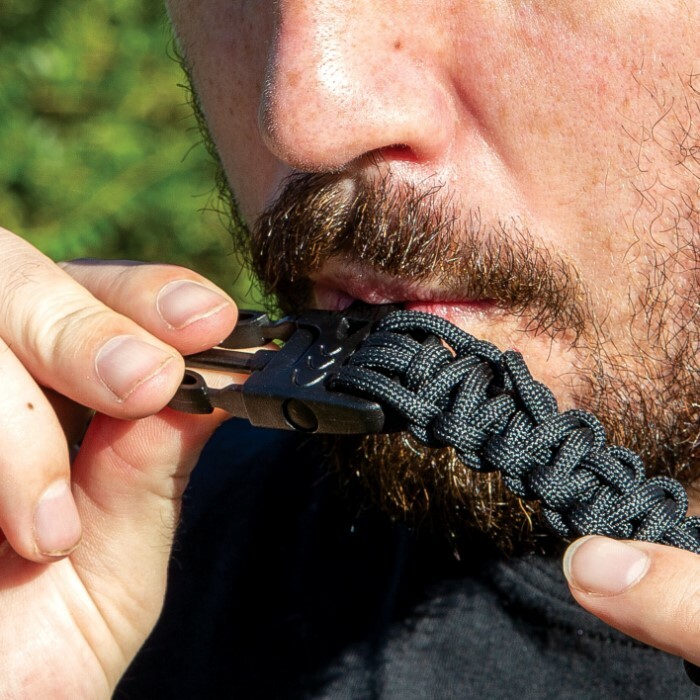 It is made of strong and durable polyester paracord with a quick release buckle, which features an integrated fire starter and an emergency whistle. 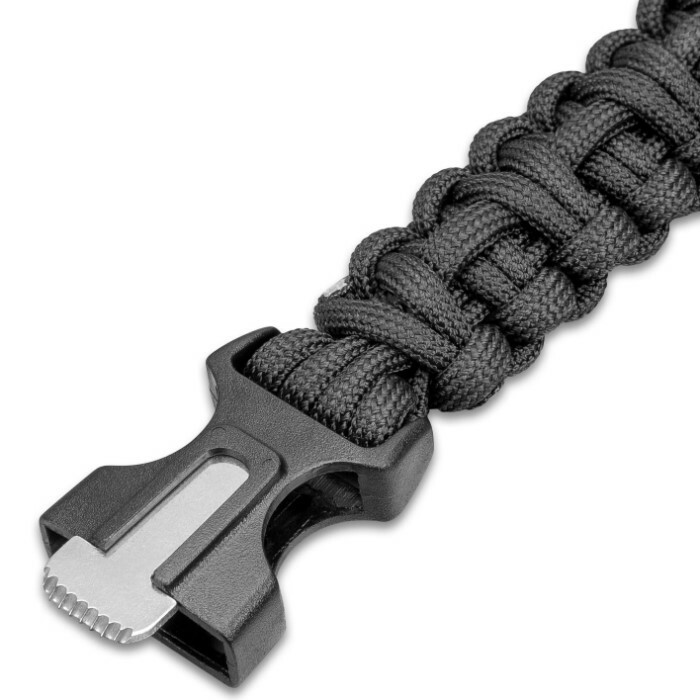 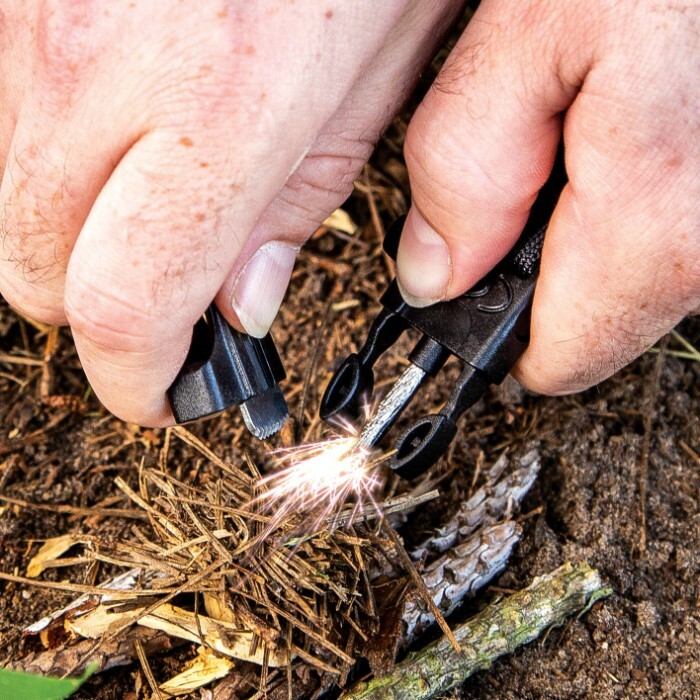 Paracord is one of the most valuable survival tools you can have with you because of its sheer versatility. 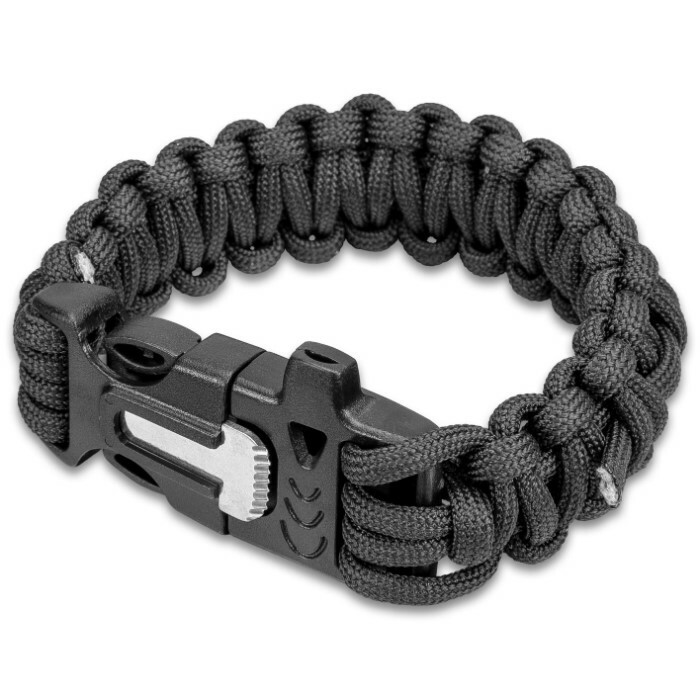 There’s no better way to carry the paracord you need than in a stylish bracelet around your wrist or attached to your gear.